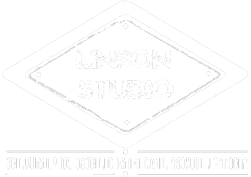 Martin Linson's interview for HEC-TV about the Olympic Gold medal winning sculpture "Omnipotent Triumph"
In making art, I have always kept my area of concentration very broad. Every new work presents different challenges, calling upon varied personal experiences, and is influenced by the medium and materials I use. I try not to be considered only as a sculptor, draftsmen or a photographer. Nor, can my body of work be fairly characterized as only abstract, representational, or realistic. I believe all of these areas of discipline come together to create the artist. Cross-disciplinary action is one of the roots to all the work that I complete. My sculpture informs my drawing… my abstract work is a further extension of the representation of nature. Translation in two or three dimensions of my personal vision, or imagination in my own language, allows me to communicate forcefully to those viewing the work. Taking an image, concept or thought and transforming it into art is the very definition of what an artist must do, and I believe it the obligation of the artist to bring to light subjects that others are reluctant to address. The artist illuminates the true nature of society and events and how they affect the humanity of individuals. I use natural forms as strong visual starting points. Sometimes these forms may be maintained to communicate with absolute clarity, and at other times they may be transformed into abstract ambiguity. But, at the core, nature is a constant genesis for my art.